The supporters can see the Summarized Stats for teams and their players performance. 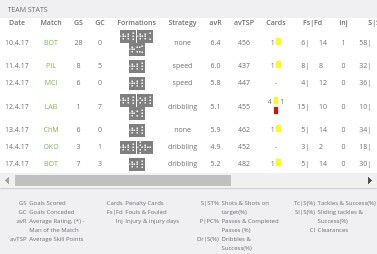 These stats are available for every manager on the screen of every single match, but supporters have an option to see it summarized and grouped together on other screens too - Team Stats, League Stats, Player screen. This way the supporters can save their time when scouting a future opponent.